Fibroid embolization is simple and safe. Share the post "Simple & Safe"
So Simple. Fibroid embolization shrinks fibroids instead of surgically removing them. It involves one tiny incision. Nothing is cut or removed from the body. The average procedure takes less than 30 minutes. Most patients recover in a few days. So Safe. Embolization is a medical term that refers to the blocking of blood vessels using tiny micro-particles. Embolization has been used by surgeons for over 50 years to stop unexpected or uncontrolled bleeding. In the early 90’s, a doctor in France noticed when blood vessels in the uterus were embolized to halt bleeding after childbirth or during surgery, fibroids in the embolized area significantly shrank. 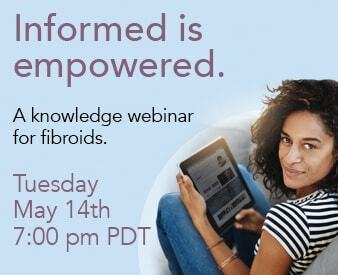 The Fibroid Treatment Collective introduced fibroid embolization to America in 1994. We have successfully treated over 6,000 patients.